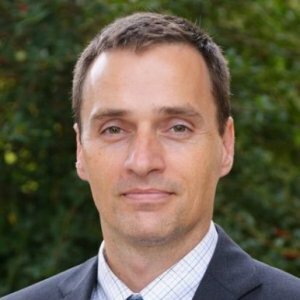 Jeff Welty is the Director of the North Carolina Judicial College and an associate professor in the UNC-Chapel Hill School of Government. Jeff Welty joined the School of Government in 2008. He was named Albert and Gladys Hall Coates Distinguished Term Assistant Professor for 2012–2014 and became the Director of the North Carolina Judicial College in 2016. Prior to arriving at the School, he completed a federal judicial clerkship, spent eight years in private practice, and served as a lecturing fellow at Duke Law School. Welty earned a bachelor's degree from the University of California at Berkeley and a master's degree in economics and a JD, with highest honors, from Duke University, where he was executive editor of the Duke Law Journal. It wasn’t just that Nick Smith had boundary issues, or that his middle-school students at the Montessori School of Raleigh viewed him less like an authority figure and more like a friend. (“He seemed like one of us,” one recalls.) It wasn’t even Smith’s peculiar closeness with some adolescent girls—and one ninth grader in particular—or that his unnerving behavior during a school trip had led another girl to complain to her father. City and police officials have responded to allegations by a local Black Lives Matter leader that police monitored her phone, saying the claim is false and it could be easily debunked. The leader of a local Black Lives Matter group has pushed back against police statements on recently revealed monitoring of civil rights groups, saying police efforts went further than the department has acknowledged and included electronic surveillance. Two weeks ago, both houses of the N.C. General Assembly voted unanimously to approve House Bill 379: An Act to Assist the Criminal Law Recodification Working Group. This week, Governor Cooper signed it into law. This enactment constitutes an essential first step towards something North Carolina badly needs: a clear, well-organized, unified criminal code. Everyone who helped to make it happen deserves our thanks, including and especially the bill’s legislative champions, Representative Dennis Riddell (R, 64) and Senator Andy Wells (R, 42). First down and goal to go. The Carolina Panthers are trying to score a touchdown. Think they’ll make it? Your phone buzzes and an alert asks if you’d like to bet on the outcome before the snap. That’s right, bet. Here in North Carolina. Thanks to a recent landmark ruling by the U.S. Supreme Court, it’s now possible to bet on sports outside of Las Vegas. That is, provided the state where you reside wants to allow betting. For now, North Carolina isn’t eager to take the risk. But there’s talk of that changing. On a cold Christmas Eve night, the man found himself stuck up to his waist in the mud of a swampy area surrounded by deep and frigid creeks in Cumberland County, when a small flying object passed over his head. The object was a Fayetteville Police drone. It may have saved his life. Paul Manafort’s legal team faces a critical choice as he heads to trial: how aggressively the former Trump campaign chairman should base his defense on alleged political bias and misconduct by federal investigators. Since October 2016, anyone who wants police body camera footage released has had to petition a court — and many of them have succeeded. The law, commonly referred to as House Bill 972, was signed into law by then-Gov. Pat McCrory and set new procedures for how to release footage from body cameras and dashboard cameras used in policing. Prior to the law, there was little consistency across the state for how to release or classify body camera footage. The UNC School of Law learned how to be prepared, not afraid, during active shooter situations Tuesday. Shots Fired on Campus is an in-person, voluntary training run by Sgt. James David through the UNC-Chapel Hill Police Department. It is based on a DVD called “Shots Fired: When Lightning Strikes,” produced by the Center for Personal Protection and Safety. The in-person training is available to on-campus groups, departments and residence communities. North Carolina may be the only state in the nation where a misdemeanor domestic violence conviction doesn't trigger a lifetime federal ban on owning a gun. Jeff Welty is a firearms expert at the University of North Carolina School of Government who has studied “going armed to the terror of the public” laws. “They are meant to address the situation where someone is out, with a firearm, menacing people, and he hasn’t yet committed whatever crime he may commit," he says, "but we still want to be able to check him before he gets to that point.” The laws open the door to police intervention at the sight of worrisome gun carry, without compelling officers to wait until a shot is fired. Can You Bring a Gun to a Protest? When Dwayne Dixon heard that Ku Klux Klan demonstrators were preparing to march through downtown Durham, North Carolina, on Aug. 18, he grabbed his semi-automatic rifle and set off to join a group of counterprotesters. Not a week earlier, and less than 200 miles away, hundreds of white nationalists and anti-racist protesters had clashed on the streets of Charlottesville, Virginia, in a march that involved a multitude of weapons, unregulated armed militias, and, ultimately, a murdered bystander. Dixon wanted to be prepared to defend himself and others from the anticipated swarm of newly emboldened white supremacists said to be descending on his North Carolina city. Another problem for Flynn: The Fifth only protects information that incriminates the person claiming it. It offers no protection against turning over information that might incriminate other people who are under investigation. An example, says Jeffrey Welty of the University of North Carolina, would be an accountant who keeps the books for a company being probed for illegally selling technology to a foreign company. If federal investigators subpoena the accountant’s records, the bookkeeper would not be able to claim the Fifth because the records don’t incriminate him or her—they incriminate the company for which the company was working. Alford pleas are treated generally the same as guilty pleas by criminal courts, but some defendants prefer them psychologically or believe they may offer advantages if they later face a civil lawsuit, according to a blog written by University of North Carolina legal scholar Jeff Welty. Former national security adviser Michael Flynn’s attempt to claim his Fifth Amendment rights to avoid giving documents to the Senate committee probing Russian influence in the 2016 election may not hold up, legal experts tell Newsweek. Simply claiming the Fifth doesn’t allow a person to avoid turning over incriminating documents. Federal investigators regularly subpoena and receive incriminating documents they then use to convict suspects. Novelist Michael Peterson agreed to a plea deal Friday that enables him to maintain his innocence even as he acknowledges prosecutors have enough evidence to convict him of manslaughter in his wife’s death. The district attorney, for his part, insisted that he’s guilty. A two-day Judicial College course for experienced magistrates on criminal procedure. This course will help magistrates improve their performance with basic criminal procedure tasks such as determining probable cause, selecting process, conducting initial appearances, and setting bonds. This course, offered in conjunction with the Conference of District Attorneys, provides practical and legal training for new prosecutors through classroom lecture and practical skills exercises. The course covers topics such as prosecuting domestic violence cases; handling DWI cases; working with law enforcement officers; sentencing; DMV license revocation and points; chemical tests for alcohol; and much more. The course also includes practical skills exercises, during which participants practice introducing critical evidence. It also includes a controlled drinking exercise, which demonstrates the operation of the breathalyzer. Capital cases are among the most difficult cases for judges to handle. The stakes are high and the legal issues presented in death penalty trials are often complex. Furthermore, these cases are closely scrutinized by the public, the media, and the appellate courts. This course is designed to help judges handle these cases efficiently and correctly. It will address issues such as case management, jury selection, experts and discovery, and capital sentencing hearings. In this free webinar on-demand, School of Government faculty member Jeff Welty explores the law of guns and gun control. Topics include: The Second Amendment; the right to bear arms under North Carolina's state constitution; existing federal and state gun laws; proposed gun regulations, including the proposed federal assault weapons ban; city and county power to regulate guns; whether state law enforcement officers may or must enforce federal gun laws; the legal status of "open carry". This is a new course designed to educate magistrates on a broad array of issues related to domestic violence. In addition to sessions focusing on criminal law and procedure, the course will include informational and pragmatic sessions designed to assist magistrates in making specific improvements in the performance of their responsibilities in this area. This training will include an optional three-hour session related to issuing ex parte domestic violence protective orders (sometimes called "50B orders"). 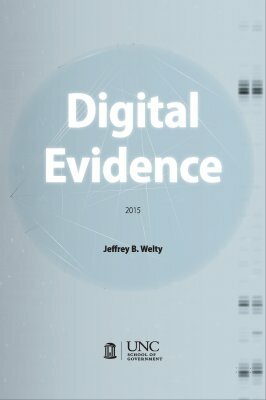 A new guide to the legal issues presented by the collection of digital evidence in criminal cases, this book addresses how such evidence may be obtained and the rules that govern its use in court. Although written mainly for North Carolina judges, lawyers, and officers, it may also be of use to officials in other states. 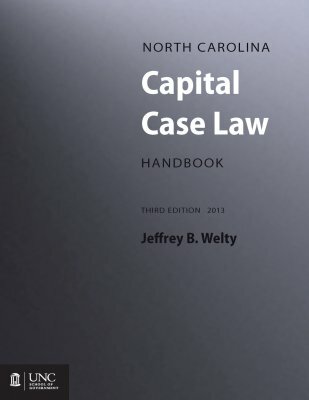 A research reference for North Carolina judges and lawyers who handle capital cases, this 300-page book is designed to help them understand statutes and case law affecting the trial and sentencing of defendants charged with first-degree murder when the state seeks the death penalty. Although its primary focus is the sentencing process, it also discusses selected pretrial and trial issues that commonly arise in first-degree capital murder trials. In November 2014, North Carolina voters will decide whether to amend the state constitution to allow a criminal defendant to waive his or her right to a jury trial. The proposed amendment would make a fundamental change in how criminal trials may be conducted in this state. Neither the media nor advocacy groups have given the amendment much attention, and as a result, voters may know little about it. This non-partisan, non-advocacy report provides the information voters need to make an informed decision on the proposed amendment when they go to the polls this fall.